There are tons of skins, covers and pouches out there to protect your mobile phone from scuffs, scratches and dings but what protects you from the bacteria just lingering on your phone? An eco-friendly smart phone cover with antibacterial protection. 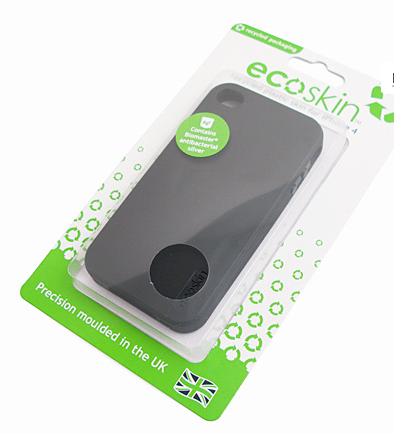 The ecoskin is the only recycled mobile phone cover to be infused with Biomaster or silver ions to reduceÂ harmful bacteria levels on the phone. The same material is used as an additive for many medical devices to decrease bacterial levels by up to 99.9%. 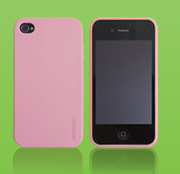 Plus the ecoskin is made with 100% recycled high grade plastic and is UV resistant. The packaging used for the ecoskin is also made from recycled materials. Finally! I have thought about how dirty phones must be… and have literally been sick over it! I am a freak who wipes mine down with Lysol sheets!